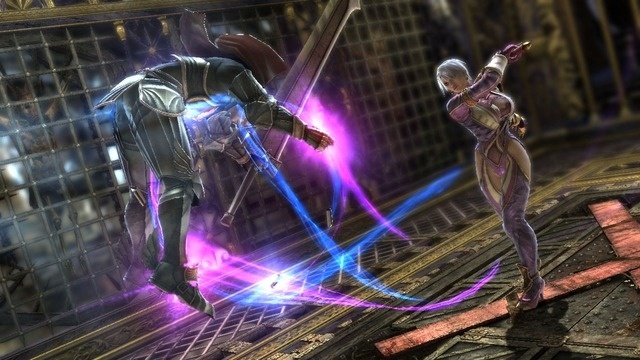 SoulCalibur V is the sixth entry in Namco’s Soul series. The game was released on January 31, 2012. In a bold move, the game takes place 17 years after the events of Soulcalibur IV and sees many of the series’ primary characters removed. Will the additions outweigh the losses in this latest telling of the eternal swords? 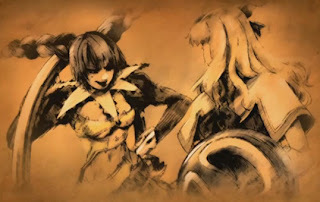 SoulCalibur V’s story was co-developed with the studio, CyberConnect 2. The series takes a dramatic leap forward in time. 17 years after Soulcalibur V, most of the original cast, characters that have been in every entry since the original Soulcalibur, have moved on. In their place are the sons, daughters, and successors. The story mode revolves around the son and daughter of Sophitia: Patroklos and Pyrrha. Since being destroyed by Siegfried at the end of SoulCalibur IV, Nightmare has taken another host, the Count Dumas. He plans to reclaim all of the scattered fragments of Soul Edge lost in that fateful battle. To do this, Nightmare has deceived and recruited Patroklos and convinced him that many ordinary people are “Malfested”, demons swayed by the power of Soul Edge. Tira, having seen Nightmare’s new form and political maneuvering, is convinced that Soul Edge must find a new host. To that end, she uses Sophitia’s daughter Pyrrha. Through years of manipulation, Tira has convinced Pyrrha she is a monster and plans to use her as the new host for Soul Edge. As the story evolves, Patroklos breaks free from Dumas’ control and realizes he is actually Nightmare. Patroklos is then chosen as the host of Soul Calibur. Soul Calibur has developed a conscious of its own and manipulates Patroklos with the guise of his slain mother, Sophitia. Once again, the two swords seek one another out and will spare no one in their quest to destroy one another. All of this and not much more is covered in SoulCalibur V’s story. It is told through a handful of pre-rendered scenes and a whole lot of story boards. The story is very short and can be completed well within two hours. Since it focuses on only a handful of characters, not much is explained in regards to the 17 year gap and the multitude of characters that are new and those that are missing. The story itself isn’t very satisfying and I was left with more questions than answers. Playing through Arcade Mode doesn’t yield anymore answers, as it traditionally has. In a move that baffles me, players are left guessing about the story surrounding many of their favorite characters. By far, this is the worst story in the Soul series. Since the game takes place in the far future, many characters that have been in multiple Soul series games are missing. Some of this is explained in the art book that comes with the collector’s edition, but I can’t think of a place in the game itself where players may gleam this information. Characters like Taki, Talim, Rock, Amy, Xianghua, Cassandra, Seong Mi-na, Setsuka, and Zasalamel are nowhere to be found. It appears that it was an effort to trim fat, as many characters were clones of one another or had very similar fighting styles. But some fighting styles that were wholly unique are completely missing. It’s unknown if they may make an appearance later on in the form of DLC, but many players, myself included, are dismayed to see their favorites disappear. It’s a rough experience to see a character you’ve used for a number of years simply vanish with the latest installment of a game. What makes the loss even bitterer is the fact that there are now three characters that function as mimics and will randomly use other character’s move sets. Why should there be that many? Nobody will use a character that they can’t reliably control, let alone three. Learning a new character or the new nuances of your refined favorite character is made easier than ever before in SoulCalibur V. There is a very robust training mode that will walk newcomers and veterans alike through the basics to intricate combos. The fighting is tighter than ever and has been refined since the last entry. There is a new Soul Gauge that now functions as a meter system. It’s similar to other fighting games as it is used to perform special attacks once it is filled. With the gauge refined, it’s easier than ever to pull off devastating attacks that can quickly turn the tide. Critical Finishes are now gone. That’s not much of a loss, since it was a poor system that never saw much use. Much like the roster, the game modes have been drastically cut. There is a Story, Arcade, Quick Battle, VS Battle, Training, Character Creation, and Online Play. As I said before, Story Mode is a short, unsatisfying affair. Arcade Mode has players picking their favorite character and fighting through a series of six battles. Quick Battle pits players against a small army of pre-generated combatants. Defeating these combatants rewards players with titles that can be equipped to their player card. This doesn’t have any special effect. It’s just a little something extra to keep players playing. There are no modes like the Tower of Souls from SCIV or SCIII’s Chronicles of the Sword. Much like the Story Mode, the extra modes are lacking. The only exception to this is Character Creation. Character Creation is more robust than ever. Graphically, SCV looks very much like SCIV. It is a gorgeous game full of detail. I don’t know how they could have done much improvement over the last game. Only one thing really stands out. In some stages that take place in open battlefields, as the map moves around, there is a visible break and the foreground will spin much quicker than the background. In a game where positioning is critical and most matches will have a lot of movement, it’s easy to get distracted by this technical flaw. SoulCalibur V is a good game, but when compared to past entries, it’s not much of an improvement. I’m a die-hard fan of the series and SCV left me wanting. The lack of a more in-depth story mode and removal of many core characters is what holds SCV back. It feels more like a title update than a renovation. For players that have never taken a spin in the world of souls and swords, SoulCalibur V is a great place to start. However, long time players like myself will be disappointed.